Sameer and Naina's life takes new turn as their wedding preparations are in full swing and sangeet ceremony is organised. Maheshwari's has also become part of Sameer's happiness after what all happened, while now Agarwal family and Naina comes for sangeet ceremony. Here Naina is searching for Sameer while Mama and Mami are planning something different. Mama and Mami taunts Agarwal family over Rakesh's absence from the sangeet ceremony and Naina feels bad. 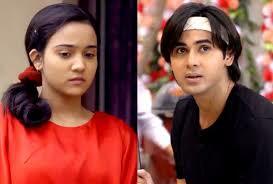 Anand and Bela tries to handle situation and things are not working well, while Anand asks for Sameer. Mamaji and Vishakha's husband taunts Anand over it as how will they know as Sameer is more of them than theirs.